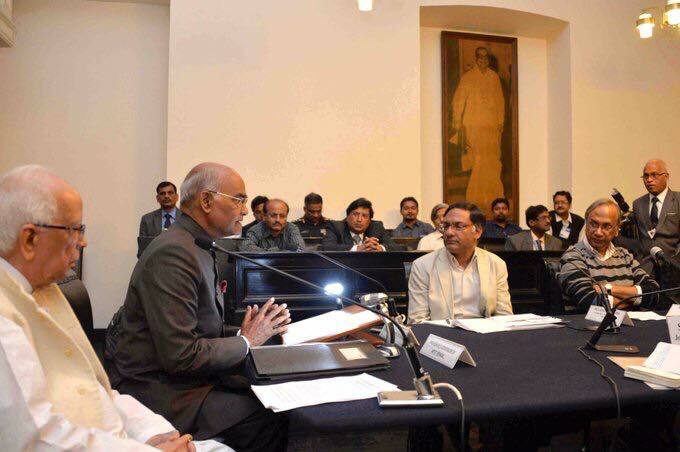 Klokata: The President of India, Shri Ram Nath Kovind, addressed the scientific community of Kolkata at a Vigyan Chintan event organised at Raj Bhavan, Kolkata today (November 28, 2017). Speaking on the occasion, the President said that in its essence, science is about human fascination and curiosity. It is about that endless quest for new frontiers. For thousands of years, from the age of Aryabhatta and Charaka, India has embraced science and its sense of inquiry. Science has been our intellectual trigger as well as our force multiplier. In modern times Kolkata and Bengal have been central to this process. Today the challenge is to widen that culture to other geographies, both within the state and outside. As well as to deepen that culture by incubating a society that understands, encourages and embraces innovation – down from our leading scientific institutions to our schools and our educational system. The President said that there is truly something special about Bengal. Pointing out the fact that IISc, Bengaluru was started after Swami Vivekandnda’s request to Jamsetji Tata set up a world-class science research institution in our country, he stated that on this soil even a Swami devoted to spiritualism can have a sensitive appreciation for – and a fascination for – modern science. 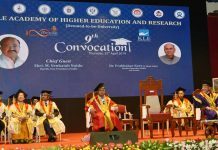 The President said that to this day, young students from Bengal, young science graduates and scientists, young engineers and technologists, contribute so much to the furthering of science and of knowledge. They do so all over the country and all over the world. It is important to harness that scientific talent pool in Bengal for the good of Bengal itself. And to once more convert Kolkata into the tech hub of India that it was a century ago, or even 50 years ago. The President appreciated the commitment of scientists to the nation. He said that they are true nation builders and have a major responsibility for the realisation of New India – an India that will achieve certain developmental milestones by 2022. New India cannot be achieved without New Bengal. And neither New India nor New Bengal can be achieved without the scientific community here contributing in strong measure. Tomorrow, the President will visit the birthplace of Gurudev Rabindranath Tagore at Jorasanko and Netaji Bhawan in Kolkata. He will also address the closing ceremony of the centenary celebrations of the Bose Institute in Kolkata and visit the Ramakrishna Mission and Math at Belur before leaving Kolkata for Mizoram.